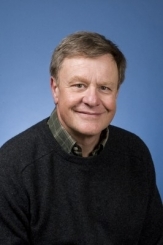 James DeNardo joined the faculty at UCLA in 1987, after teaching in the Department of Politics at Princeton University. His most recent book, The Amateur Strategist (Cambridge University Press), explores the cognitive, ideological, and factional origins of national security strategy. The book challenges leading accounts of nuclear deterrence, public opinion formation, and game theory by showing that strategic preferences during the nuclear arms race departed radically from standard models. Power in Numbers (Princeton University Press) presents a theory of strategy making in revolutionary parties and mass political movements, focusing on factional dynamics inside dissident organizations. Both books reflect Professor DeNardo's interest in the factional origins of political strategy and the roots of ideological thinking. His current research focuses on electoral mobilization and party competition in the United States, including the consequences of depressed voter turnout and the cohesion of the electoral system. His electoral research has appeared in several leading journals, including The American Political Science Review. Professor DeNardo teaches courses for graduates and undergraduates at UCLA, primarily in statistical methods. He is a founder of the Willows Community School in Los Angeles, which has grown since 1994 to enroll nearly 400 students in grades K-8. In 1997, he produced the feature film Men With Guns (written and directed by John Sayles and released by Sony Pictures Classics). Men With Guns debuted at the Telluride Film Festival and was nominated for a Golden Globe Award as Best Foreign Language Film.